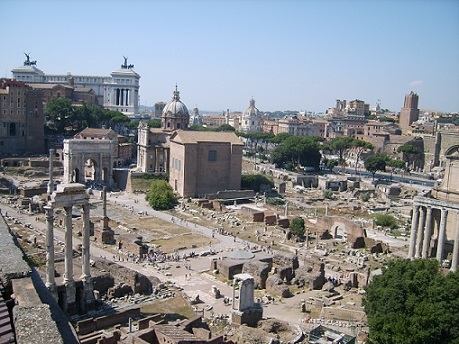 The Forum is famous for the remains of the most ancient Roman temples, arches and basilica. It was the political and religious center in the Roman Republic and Roman Empire. The Roman Republic was established around 509 BC. 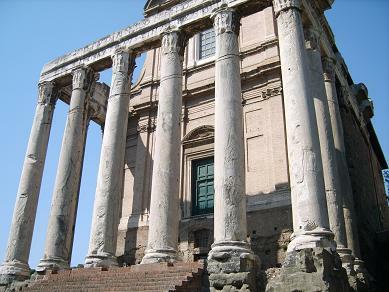 This is the Temple of Antoninus and Faustina, built by the emperor Antoninus Pius (141). Intitially, the temple was dedicated to his deceased and beloved wife, Faustina. After Antoninus death in 161, the temple got the names of both Antoninus and Faustina. The forum is next to the Palatine and between the Plaza Venezia and the Colosseum. 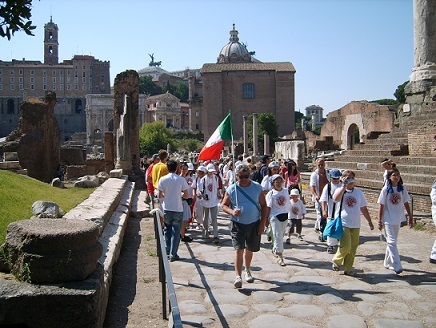 The nearest metro station is: “Colosseo” and the entrance to the Forum is free.